Home » Life » Would you rather? Personally, I say wake up next to the king. 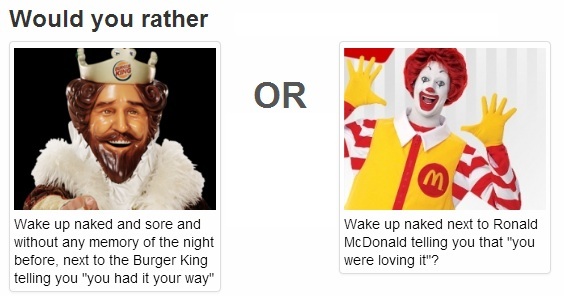 What you’re really asking is, “Would you rather wake up next to a king or a clown?” No contest, royalty rules. btw… why would the King (but not Ronald) leave you sore?